Does Hair Removal Change the Hair? Many people think if you remove facial or body hair it will grow back thicker, darker and coarser. This is a myth, which probably originated from shaving, where hair grows back at it’s thickest point. There is no scientific study that shows hair removal causes hair to grow back badly. These crazy notions have scared us from removing unwanted hair from all over the body. The removal of hair will not change how your hair grows, the only things known to change and stimulate hair growth is hormones; natural and artificial and your DNA. Humans are born with all of the hair follicles they will ever have so there is no possible way that more will appear. 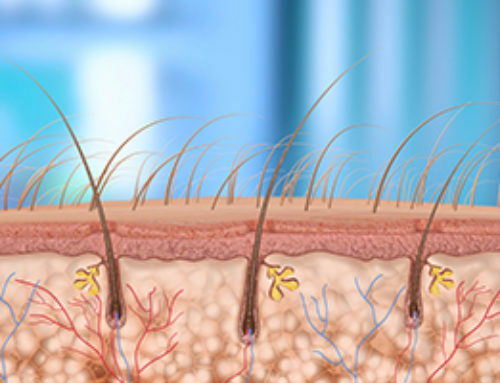 The type of hair present in each follicle and its level of pigment vary person to person so this is why some people ‘appear’ to have more hair than others. Many areas of the human body are covered in hair called Vellus hair, this hair is very soft, fine. In some cases it’s almost invisible as it contains much less pigment than that of the darker and thicker terminal hair..
A human hair shaft has a similar resemblance to a pencil or javelin which tapers towards the end. It is because of this shape that when the tip of the hair is cut it can feel like it has been made thicker, darker and even coarser. The hair has been cut in the middle of the shaft which would make the thickest part of the hair shaft visible as regrowth, therefore tricking everyone into believing this myth. Our hairs are continually growing so this “thick” stubble with grow out and will make the tapered end again. The only major effect on hair growth from the removal of hair is when it’s waxed frequently over time. The volume of hair returning to a waxed area can be reduced or increased but not the pigment or density. As each hair follicle grows it leaves behind cells that encourage regeneration. With regular waxing you can sometimes catch the hairs before they have had a chance to leave behind any cells which in turn would prevent that follicle producing a replacement hair. If the removal of hair whether it be through waxing, sugaring, threading or alkaline wash really did cause hair to grow darker, thicker and coarser, there would be evidence. Beauty therapists see the outcome every day and it just doesn’t happen. Hi, it indeed doesn’t grow back thicker, if haid grows actually thicker there are other causes. The curiousity is why does it grow back at all right away? As it is a stable length before we shave, then it grows back and stops again at that very same length, just more stubbly because it’s cut blunt :). Does hair realize someway it’s being cut? Not that there’s anything wrong with it, would be just nature’s way, but in theory shaved hair should only grow back later after being shed, not right away, just curious. Hair length is determined by your hair growth cycle. In different parts of the body your hair is genetically programmed to grow for a very specific length of time before it stops growing. This determines the hair length. For example the average time for hair growth on the body is 6 weeks where on the head it’s 2 years. That’s why head hair is longer. There’s more on this in our FAQ section under Laser Hair Removal. After shaving stubble is caused by the growing hair only. Hair that’s there, but not growing, will not start growing and will not cause stubble. Hi, thanks so much for your kind reply. Strangely the violet text against grey background makes it unintelligible without selecting, btw, but it’s no problem :). Yes, as you say, hair on any zone of our body is programmed to grow to a specific length then stop and after some time they eventually shed, not all at once, but very small consecutive portions at time, in order to ensure coverage according to the whole hair life cycle. That’s why we can notice a few hair strands on our body and head are shorter than the rest, some of which are much shorter, being the most recently shed :). While it makes sense that the hair which grows back after shaving is hair which was already growing, I think this regrowth would perhaps be much sparser if this was the case, while we see it seems like most hair grows back at once as stubble when we shave, not just the small growing portion. As we know that although hair shaft in itself has no nerves, they are linked to the follicle which has some nerves and is a sensitive organ that uses the strads as device to heighten feeling. It works like a cat whisker but of course to a much smaller scale and extent, as they use them to perceive space and obstacle. They are called mechanoreceptor and might also carry info like the hair mass – weight. I dunno, though, it’s hypothetical and I’m just curious. Thanks again for the patience and the explanations. Antonymous on Does Hair Removal Change the Hair? Roger on Does Hair Removal Change the Hair? Johnston Street runs off Lambton Quay and is between Midland Park and David Jones. We are on level 1 above Magnetix. Pay & Display parking is available in the street outside the clinic and the Wilson’s Parking Building closest has an entrance on Waring Taylor Street with an exit opposite our clinic. We are on the ground floor directly opposite the escalators going up to the McDonalds food court. Turn right when you come in from the carpark. We are at the far end of the mall near the Queens Drive entrance. We are NOT on the same level as the shops but are located in the administration offices level found by going through a corridor next to the ASB Bank and going up one level. We are the first one you will come to on that level.